Saturday mornings breakfast!! I made this recipe this morning. I love apricots so I was super excited to try these, and they didn’t disappoint. 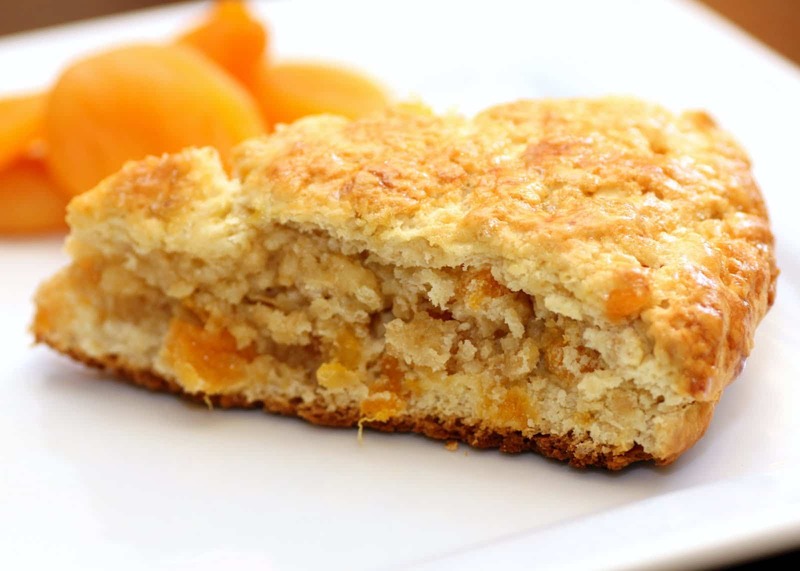 The filling allows the scone to have a really warm and moist center while the outside still stays really crisp. The outside is warm and almost flaky while the inside stays super most from the filling. And the flavor is so yummy. It’s both a little sweet, but also still tastes healthy, which I really look for in my breakfasts. Quick tip; make sure you follow instruction exactly. When I made these, I was lazy and didn’t pre-cut the scones before baking and yeah, this is a must do for your scones to turn out. Enjoy!! In a bowl, combine the dry ingredients; cut in butter until mixture resembles fine crumbs. In a small bowl, beat eggs; set aside 1 tablespoon for glaze. 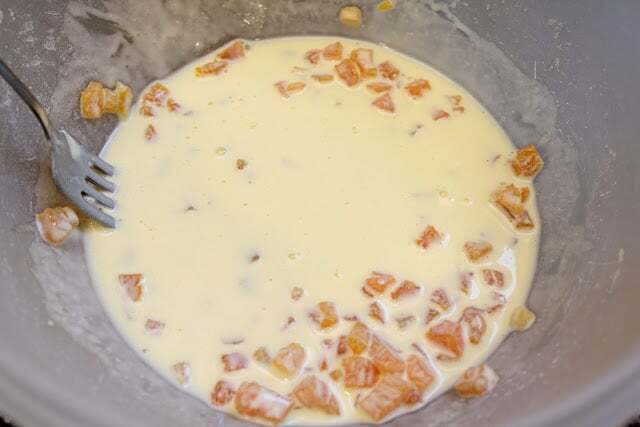 In another bowl, combine the sour cream, milk and remaining beaten eggs; add apricots. 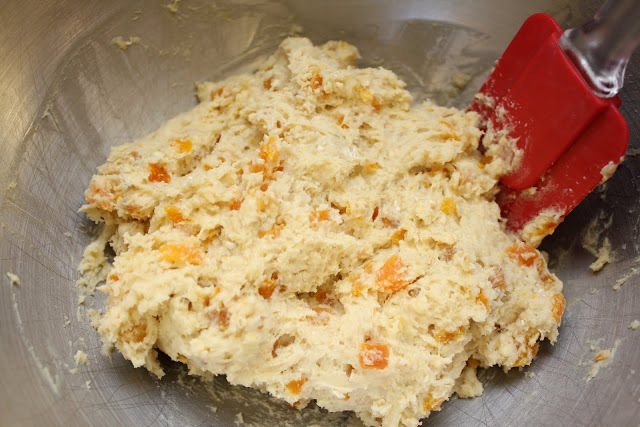 Stir into crumb mixture until the dough clings together. 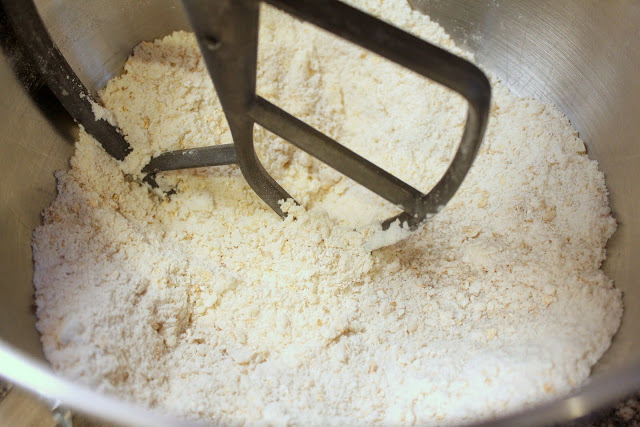 Turn onto a lightly floured surface; knead 12-15 times. Divide dough in half. Pat on portion into a 7-inch circle on a greased baking sheet. Combine the brown sugar, oats and butter; sprinkle over dough. Roll out remaining dough into a 7-inch circle; place over filling. Brush with reserved egg; sprinkle with additional sugar (I used raw sugar, but either will work). Cut into wedges but do not separate. Bake at 400 degrees for 15-20 minutes or until scones are golden brown. Cool slightly; cut again if necessary. Serve warm.